Turkish Adana Kebabs is a famous Turkish food got its name from Adana city. These kebabs are made with ground meat and spiced with other ingredients. Let try homemade version of delicious Adana kabab. Place capsicums, onions, garlic, butter and other spices into a blender and blend to make a smooth paste. Divide the mixture into equal parts and put on skewer. Cook over hot coals for 4-5 minutes per side or until done, turning frequently. You can also broil in oven or cook on grill pan. Combine yogurt and mint chutney. 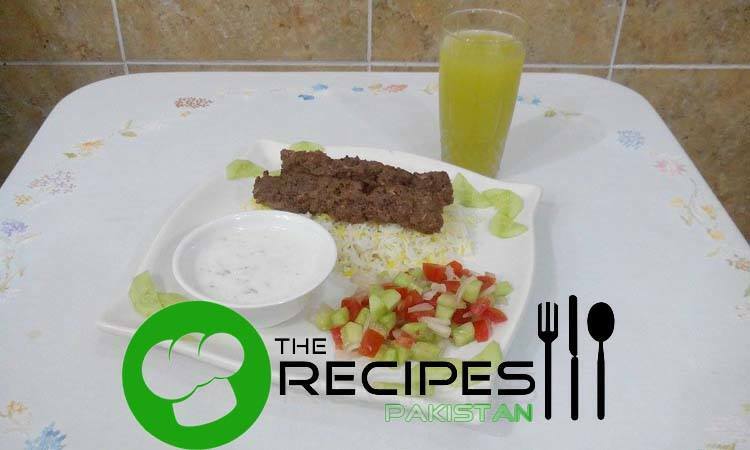 You can serve all things separate or put Adana Kebab on bed of rice, placing salad in one side on platter along dip.